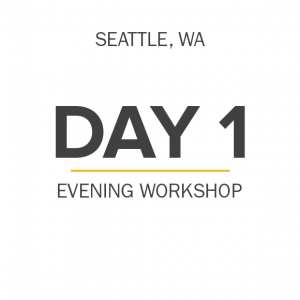 This workshop will help you make money – more money – right now. In this class, we will talk about how to build and grow your business as well as how to shoot to make your work stand out from your competition. We will discuss tried and true tactics in this course such as how to find new work, get more work from your existing clients. How to network and find new companies or individuals to hire you, then how to compose a bid and make it stand out to win the bid, not because you are most affordable… and how to bid to maximize your profits. How to correctly set your prices. Improve the look of your work to help you stand out, invest smartly in certain gear to make you more money and get referrals and grow your business.